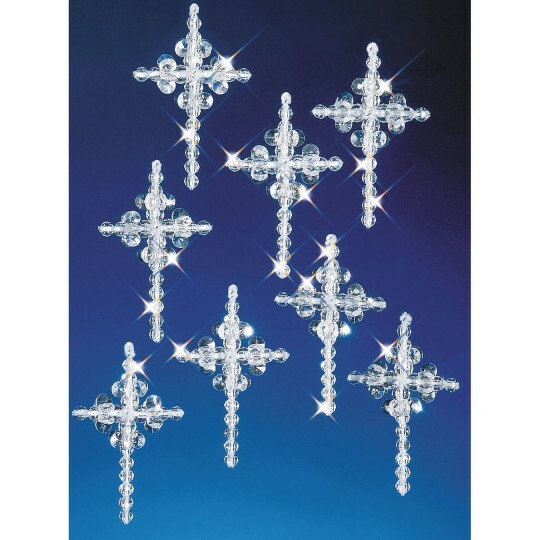 These dazzling crosses are a perfect finishing touch to your tree or wreath and are also great as a special gift. This complete kit allows for the creation of up to 24 easy-to-make decorations. Kit includes beads, chenille stems and detailed instructions. Cross are each about 2 x 3-1/4" in size. Proudly made in the USA.